Water distribution and patrols on the streets of Basra, Iraq, with 1st Battalion the Royal Regiment of Fusiliers. I. Water distribution point on roadside in Basra: water is decanted from UNICEF blue tanker. Interviews with Lieutenant Robert Campbell and Lance Corporal Andrew Hayton about the water distribution operation. 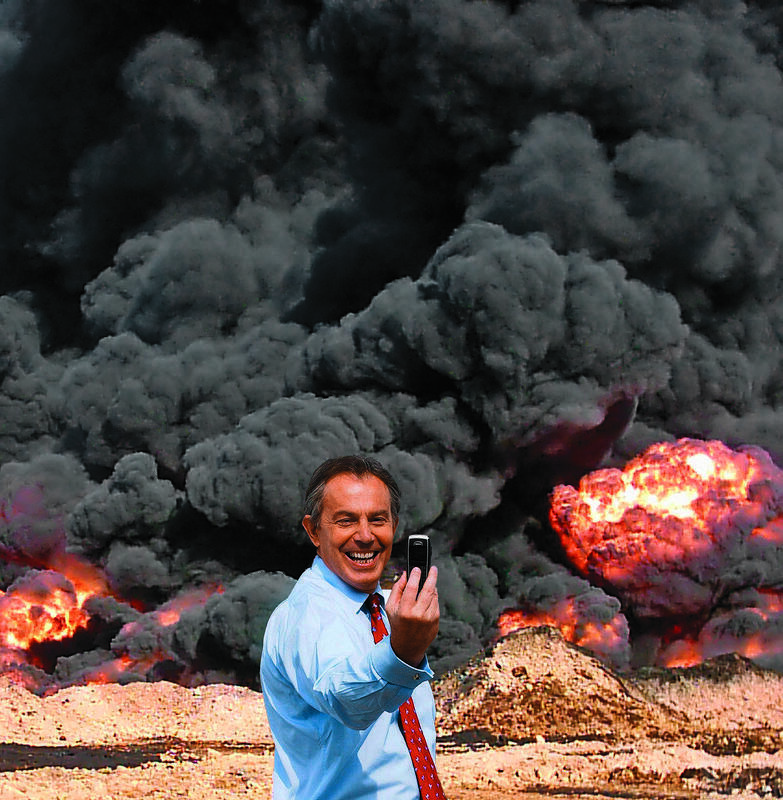 Interview with local student (Bashir Nasha al-Samari) who thanks the coalition forces and Tony Blair. II. Patrol through Basra: foot soldiers supported by Warrior armoured vehicles. Shots of road from moving Warrior. Foot patrol through railway marshalling yard, the soldiers being followed by curious Iraqi youths. Ordnance is discovered in empty railcars, and nearby wrecked Iraqi armour is inspected. Soldiers talk with Iraqi youth, using phrasecard as translation aid. Further views on board Warrior vehicle as it returns to base. Interview with Lieutenant Tom Kibble about the duties of patrolling (reestablishing confidence with the local people, and searching for abandoned ordnance).